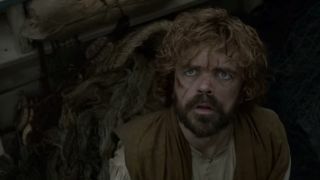 Game of Thrones is a show known for its shocking surprises. Past episodes have featured enormous battles, steamy affairs and mass murders, but this week's episode, titled "Kill the Boy", featured little in the way of spectacle. Yet, it somehow became the most quickly pirated television show ever. The hit HBO show is no stranger to the illegal download charts. In fact, for the past three years, it hasn't budged from its cozy seat at the top. Sunday's episode rallied up 2.2 million illegal downloads within 12 hours of the original airing, blowing out the previous record from season four's premiere episode, which was downloaded nearly as many times but in a longer, 24-hour time period. The reason for the surge of pirates with this episode could be related to the leak that occurred just before season five premiered, which contained the first four episodes. With "Kill the Boy" being the first episode this season not to suffer from the leak, it's possible that this is a key reason for the record-setting piracy numbers. Regardless of the reason, the illegal downloads show there's still quite a lot of interest in Game of Thrones. But they also illustrate that even with the barrier to HBO content being the lowest it has ever been with HBO Now, people still aren't so quick to subscribe when in need of a GoT fix.